Running into a setting sun is about as treacherous as driving into one. Running on trail blind is dangerous and dumb. Unseen rocks and dips in the trail can lead to twisted ankles or a broken neck. It keeps you on your toes and on your game. 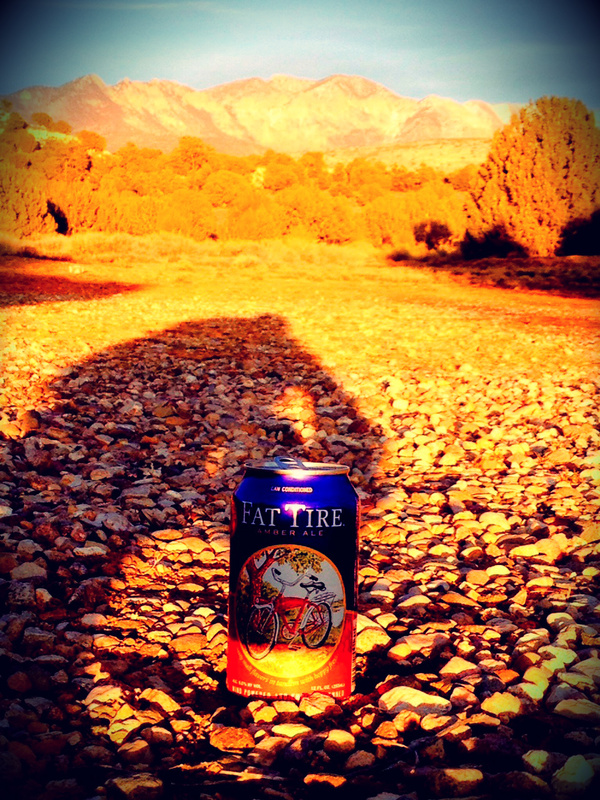 But, sitting down in the warmth of a setting sun after a good long run with a Fat Tire makes it all worth it. Blind spots and Fat Tires: It’s the simple things in life. Keep your eye on the prize. Posted on February 12, 2014, in Recreation & Adventure and tagged blind spot, fat tire, setting sun, Trail running. Bookmark the permalink. Leave a comment.